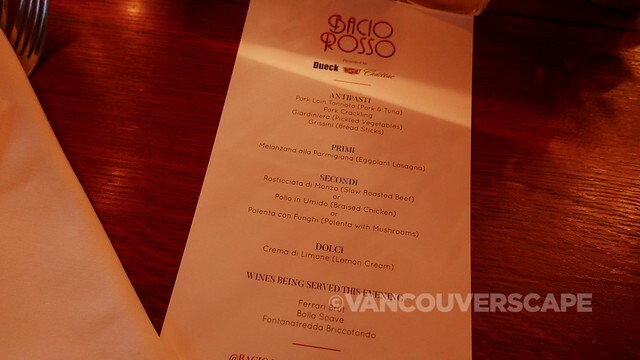 If you’re looking for a unique, immersive and gastronomic night out in Vancouver, check out Bacio Rosso: a fusion of cirque, comedy and cuisine. The Bacio Rosso tent has been pitched in Queen Elizabeth Park and this is by no means an ordinary venue. Imagine an antique Belgian Spiegeltent with a plush red velvet interior and over 2,000 bevelled mirrors! Inside this tent is a full-service bar, multiples stages and seating to accommodate 325 guests. 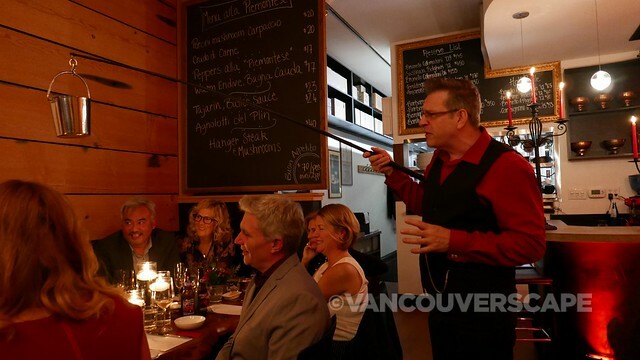 Award-winning Chef Adam Pegg of Vancouver’s beloved La Quercia has prepared a gourmet four-course menu to delight the tastebuds. I had the chance to sample the very menu last week at the restaurant as live musicians entertained our group. In between sips of wine, craft beer and yummy bites, master magician Shawn Farquhar blew our minds with jaw-dropping magic stunts. 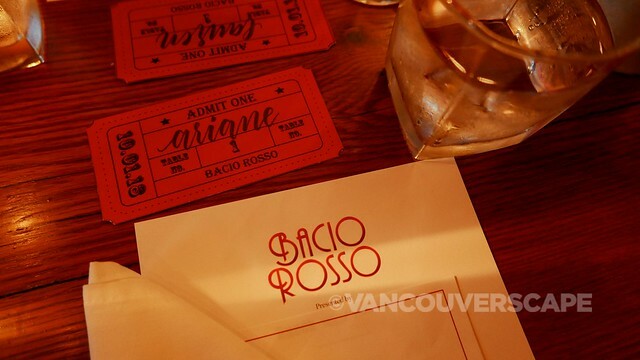 Bacio Rosso’s Vancouver premiere will feature exceptional talent from around the globe including magicians, jugglers, trapeze artists, contortionists, clowns, singers and comedians, creating an evening to remember. Performances will be held Wednesdays through Sundays in Queen Elizabeth Park from November 1 to New Year’s Eve. Tickets start at $109 and dietary preferences will be noted at the time of booking. Visit Bacio Rosso online for details and tickets. Thinking ahead to the holidays, the Bacio Rosso experience can be tailored to suit parties from small groups to full-tent buyouts.